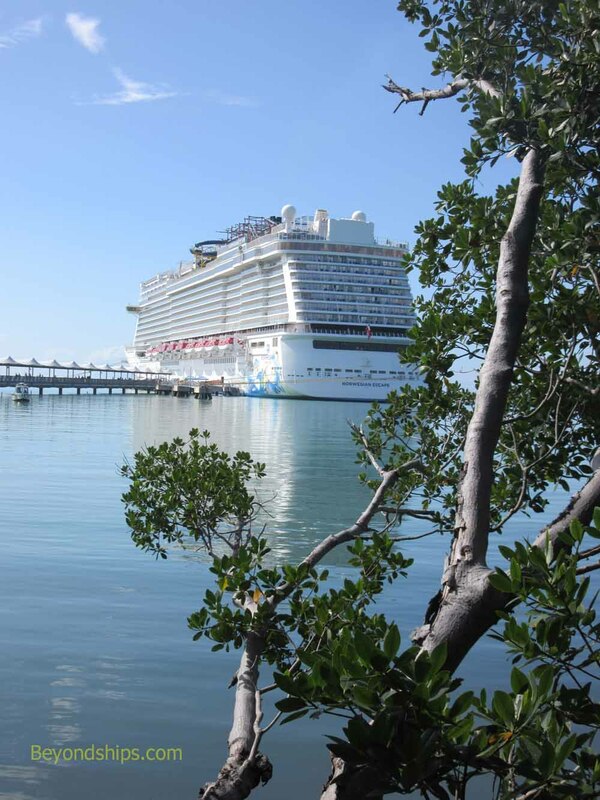 Harvest Caye has the only facilty capable of docking a large cruise ship in Belize. In order to create this facilty, Norwegian had to dredge over a million square meters of sea bottom. Nonetheless, it is a long pier. 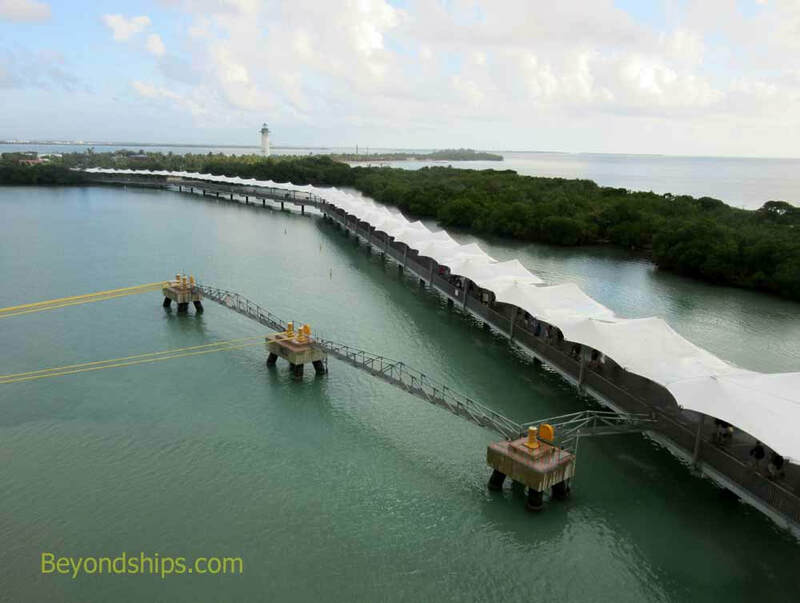 A long stretch of the walkway leading ashore is covered by a canopy to protect guests from the tropical sun. Those who prefer not to walk can ride in one of the trolleys that shuttle between the ship and the gate to the resort.